Increase efficiency, reduce costs and improve decision-making. Railway Operation has to meet increasingly stringent quality and safety requirements. Among its responsibilities are included topics as different as to contribute to sustainability, to manage passengers experience or to become a tool of society economic growth. Due to the last tendencies on Internet of Things and Big Data increasing its relevance in many fields, innovative solutions that transform raw data into value-added information have a radical effect in railway maintenance efficiency. This is where smart motors® solutions come in. We provide real-time operation status of any asset that needs to be monitored. With this information the operators gain immediacy in decision-making processes which results in an improvement on service quality and availability. These solutions also provide breakdown prediction thanks to artificial intelligence algorithms applied to the data collected and allow condition based maintenance actions in opposition to preventive maintenance calendars that prevail in classical models. Railway signaling is one of the most important elements to ensure the safety and quality of train services. Smart Motors Signaling Solutions collect data from signaling elements, such as point machines, track circuits, and other on-field elements, with the aim of improving their availability. Track monitoring systems help to maintain the safety of railroad tracks on turnouts. It is important to ensure a correct position of stock rails and closure rails along the turnout and throughout the whole movement of the point machine. Also identify geometrical deformations is a priority to guarantee safety. Commercial operation of trains generates large volumes of information about the state of their systems and how the service is developed. However, in many cases, the railway operator does not have access to these records. Smart Motors has developed a solution to exploit this data and provide information about service and maintenance status of trains in real time. Maximize the performance of investments in maintenance thanks to the reduction of dedicated resources to the monitored assets allowing them to be reinvested in other areas. Minimize breakdowns that induce stoppages or delays in the service and reduce the time of affectation. Increases standards of service offered by the operator. Reduce affectations in the train services, thanks to apply corrective actions before breakdown appearance, favoring passenger security. Smart Motors is concerned about the needs of users in the railway sector. Our solutions are easy to install and maintain, scalable to different network sizes and configurable for different types of users. All of the above in compliance with rigorous safety standards. TMB explains how the use of Smart Motors' predictive maintenance tools have helped improve service quality while minimizing costs. Smart Motors develops a new device to mesure the test bars gaps of a new point machine. Desktop mode. Real time visualization of conduction and key element for incidents resolution under operation. This development has been implemented within the Condition Based Maintenance solution for Metro. 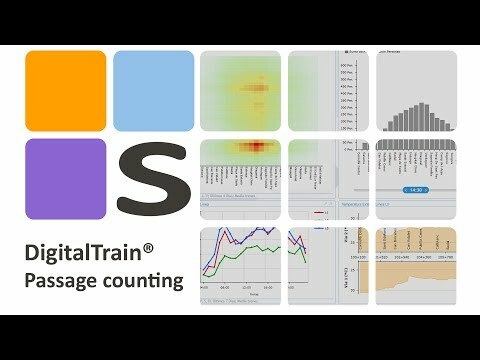 DigitalTrain® Passage counting release. Real time passage monitoring. One of the biggest challenges of transport operators is energy efficiency. Digital Train® optimizes transport costs by monitoring energy consumption and comparing the performance of different units. 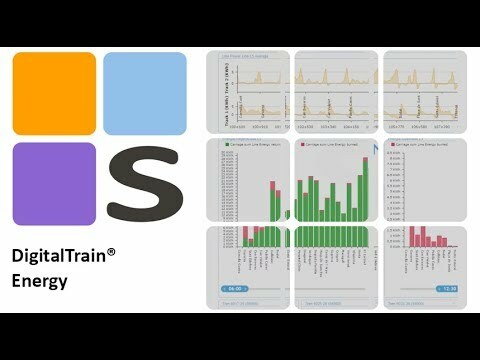 Track the consumption, regeneration and loss of energy along the network and for each train and streamline your exploitation costs!!!!! Copyright © 2019 - Thinking Forward XXI S.L. smart motors ® created in 2009 is an established company with consolidated activity in collaboration with important companies within the railway sector. The company was founded after a three-year project carried out in an academic environment and in collaboration with Transports Metropolitans de Barcelona (TMB). The aim was to design a new system to generate useful information about the status and operation of signalling elements with serious reliability problems. The company is experiencing a process of geographical expansion and now we have several new solutions fostered by operators and companies all over Europe. Our solution portfolio focuses on the application of new technologies to generate added value from monitoring different critical assets within the railway network and improve operation and breakdown management. Innovation is our key asset. More than 30% of the annual budget is allocated to Research & Development. TMB has collaborated with smart motors ® since its foundation, and is currently a great promoter of new applications of Digitalisation. In this context, since 2014, TMB has been a shareholder in smart motors ®. In smart motors ® we believe that this requires, beyond occasional support, to accompany the operator throughout the process which starts with the introduction of advanced analytical tools, it leads to effective solutions to real problems and boost the confidence of the workforce. To obtain performance from this new way of working requires keeping constant contact with achievements and technological innovations within the sector but more than anything providing the operator with customised solutions. The railway sector finds itself in the middle of a transformation process to include real-time monitoring and data analyses in its service chain. The objective is to obtain the benefits that other industrial sectors have already achieved. These techniques are called upon to technologically and culturally transform the railway business, and today we already count on successful cases, but this new methods have still a long way to go. Smart motors ® wants to become at the top of the companies providing monitoring services and applying big data to facilitate maintenance, planning and management at the railway network. To achieve excellence, our solution design processes are result oriented and lead to the best solutions to streamline resources and improve the quality of the services. smart motors® presents itself as a strategic partner for those railway operators who believe that digitalisation and the uses of advanced analytics are the path towards service excellence. To generate key information, unattainable until now, permits an improvement in the management and the decision making processes of operation and maintenance. In this context, the priority is to offer the operator new knowledge about the functioning of their assets, with a real day-to-day contribution. They require advanced data monitoring and exploitation systems satisfying the requisites of the most demanding environments and incorporating sector know-how from the most experienced actors.